The American College of Obstetricians and Gynecologists (ACOG) recommends the option of diagnostic testing for all pregnant women regardless of age. Diagnostic testing can provide valuable information about a baby’s health, including whether or not a baby is affected with a chromosome abnormality like Down syndrome. However, unlike prenatal screening tests which pose no risk to baby, diagnostic tests pose a slight risk of miscarriage or preterm birth. When are diagnostic tests performed? There are several diagnostic tests available. The two most common are chorionic villi sampling (CVS) and amniocentesis. CVS is performed between 10 and 12 weeks of pregnancy. It is the earliest diagnostic test available. Amniocentesis is performed anytime after 15 weeks of pregnancy. The time in pregnancy, position of the baby, and risks for each procedure may help to determine which test is most appropriate. How are diagnostic tests performed? For both tests, a syringe is used to collect a sample of the placenta or amniotic fluid. The sample is sent to a lab and the chromosomes are closely examined. The lab determines whether there are any missing or extra chromosomes or other abnormalities in the sample. All of the information that tells our bodies how to grow and function is located within our cells in structures called chromosomes. Normally, we have a total of 46 chromosomes in each of our cells. Twenty-three chromosomes are inherited from our mother and the other 23 are inherited from our father. Sometimes, instead of having 46 chromosomes, babies are born with extra or missing chromosomes. Having too many or too few chromosomes can cause several conditions that affect a baby’s development. For example, Down syndrome occurs in individuals that have an extra chromosome number 21. Serious complications from CVS or amniocentesis are rare. Some women find the procedure to be painless. Others experience cramping or feel pressure during the procedure. Some women have cramping or spotting for a few hours after the procedure, which is normal. A health care provider should be contacted if heavy bleeding, fever or contractions occur. The results from both tests will tell whether the baby has the appropriate number of chromosomes in his or her cells. Test results can determine whether the baby is affected with a chromosome abnormality such as Down syndrome. Amniocentesis can give information on neural tube defects such as spina bifida. Additionally, if there is a family history of a specific genetic condition, such as cystic fibrosis, diagnostic testing can determine whether the baby is affected. Who should consider diagnostic testing? All pregnant women have the option to undergo diagnostic testing. Testing may be offered by a physician, or a pregnant woman may have to ask to have diagnostic testing. Pregnant women in the categories listed below are at a higher risk of having a child with a chromosome abnormality and may wish to pursue testing. Women who have an abnormal prenatal screening test. Women with an abnormal screening test may wish to pursue diagnostic testing to rule out a chromosome abnormality or neural tube defect in the pregnancy. Women who have a child or previous pregnancy with a chromosomal abnormality. If a previous pregnancy or child was affected by Down syndrome or another chromosomal abnormality, this pregnancy could be at higher risk. Women age 35 and older. Babies born to women age 35 and older have a slightly higher risk of chromosomal abnormalities, such as Down syndrome. Individuals with a family history of a specific genetic disorder. In addition to identifying Down syndrome, diagnostic testing can be used to diagnose may other genetic disorders, such as cystic fibrosis. This requires specialized testing, so it is important to discuss family history with your health care provider prior to having the procedure. Women with a history of multiple miscarriages. Pregnancies with a chromosome abnormality are more likely to result in miscarriage. Accuracy of CVS and amniocentesis for chromosome analysis is greater than 99 percent. Diagnostic testing is available to all women. Diagnostic testing poses a small risk for miscarriage or preterm birth. Diagnostic testing is optional. Questions regarding specific testing can be discussed with a physician or a genetic counselor. A normal test result can be reassuring but it does not guarantee a healthy baby. 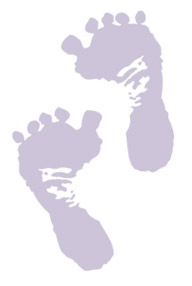 Not all birth defects or genetic conditions are identified through diagnostic testing.